These beautiful Baha’i medallions with a satin silver finish will be treasured mementos of the Bicentenary of the Birth of the Bab. 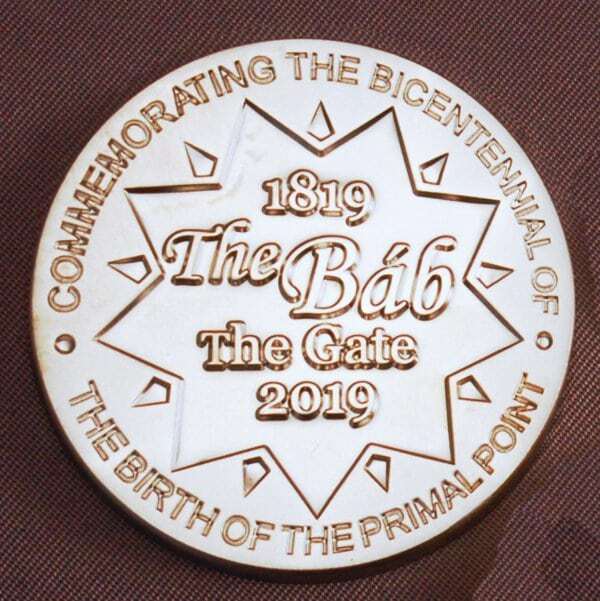 How do you let people know that this year’s bicentennial celebration is MORE than just another Baha’i party – that it is a significant milestone in the history of the Faith and the maturation of the human race? One way is by giving them something that they can touch and feel that they know will last into the future. Like the pictures we take of ourselves on Pilgrimage, these beautiful commemorative medallions will be a physical reminder of our presence at this historic celebration. Unlike a photograph, these satin silver medals could literally last for centuries. The medallions for the Bicentenary of the Birth of Baha’u’llah were gold-plated with a satin finish. 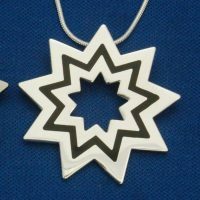 These medallions are exactly the same design, but they have a lovely satin silver finish so you can tell them apart. Everyone will want one of each. 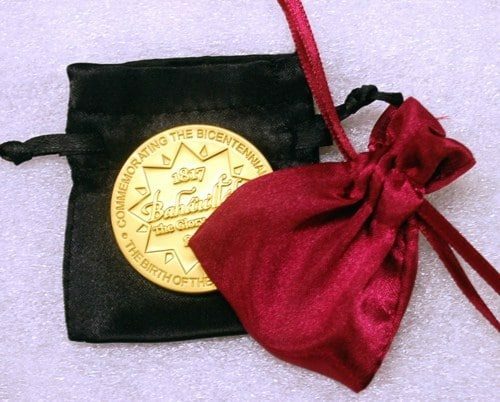 Years from now, you or your great-great grandchildren will look at this medal and know that YOU were here, AND a Baha’i at this important event. Note that one of the pictures shows both the silver and the gold medallions so you can see the difference between them. Another shows the gold medallion with the optional satin pouches that are sold separately. The gold medallion is no longer available. 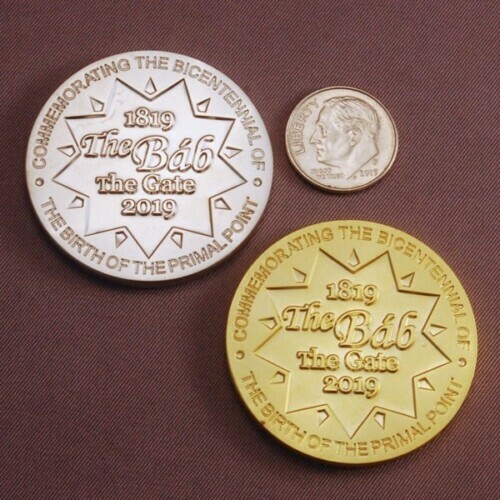 They are 1.5″ diameter and .7 ounce each.